Red Cloud Interactive covers the Philippine premiere of Ma’Rosa via an invite directly from Solar Pictures, July 6. Hundreds of media, celebrities, and others attended premiere night. 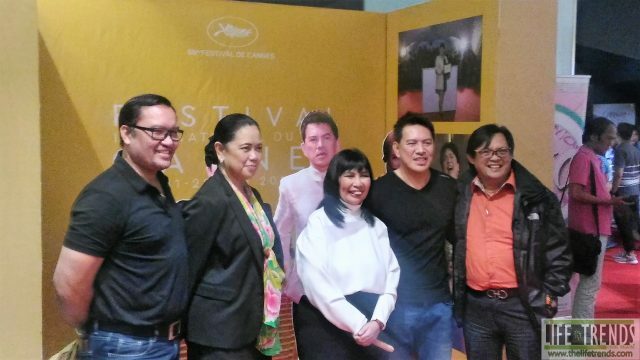 Brillante Ma Mendoza, the film’s director was also present to support the event. The movie stars include Jaclyn Jose, Julio Diaz, Felix Roco and Andi Eigenmann among others. It narrates the story of a family involved in drug dealing. The film brings to the big screen a story of extortion and corruption in the police. Jacklyn Jose’s superb acting gave her the Best Actress Award in the 2016 Cannes Film Festival in London. Watching Ma’Rosa gave us an eye-opener and an answer as to why Jacklyn Jose won the award. Ma’Rosa now playing on cinemas nationwide is a must watch. We are inviting every Filipino to watch it. It is one of the films that is both timely and relevant. Our partner site, “The Life Trends Online” has a review of Ma’Rosa (Click this link to read). The review tells you more about the reasons why Mendoza is one of the best directors of our time. Thanks, Solar Pictures for making us part of your movies. I hope many would indeed watch quality films like this. This entry was posted in Media Partnership and tagged media coverage, movie premier. Bookmark the permalink.